Apple's new AirPods are pricey little things, so theft deterrence isn't a bad idea - especially when it's this clever. 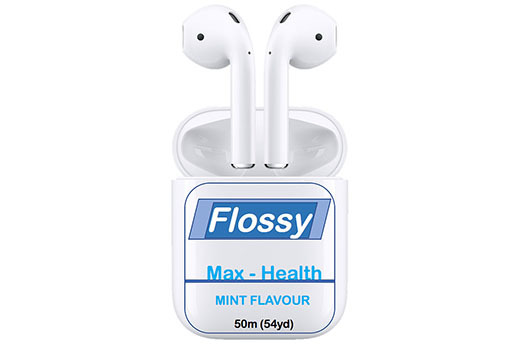 A $4.99 sticker from Etsy will transform your tech into mint-flavored floss, at least as far as thieves are concerned. This follows some other theft-deterrence-by-disguise examples I've posted for cameras, bikes, and even sandwiches - though my favorite method might be deterrence by guilt.